I got wind of this through an article in the local newspaper here, le Progrès. Apparently an over-supply of hops over the past decade led many hops producers to change crops due to the resulting falling prices. In turn, the pendulum has now swung over to the other side and there is now a shortage of hops. In addition, the beer industry is suffering from other negative influences such as increasing barley prices, draught—sorry, drought—rising fuel prices and bad weather in Europe, just to name a few. This is a serious emergency: microbreweries in Oregon, Washington and the world-over are suffering and beer prices are increasing! So start home brewing. 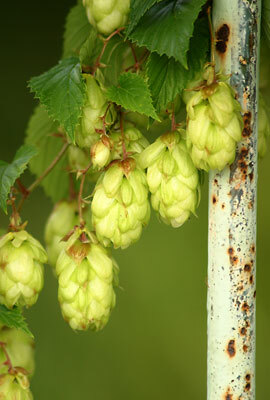 Hops are plentiful here, and can be found growing in the wild. As can many varieties of barley. Seriously though, this has all the possibilities of a major problem for the beer consuming public. ha, that’s classic, pointing finger at Bush. Couldn’t agree more with you about that.